Dr. Mohan Vodapally has more than 20 years of experience in the field of Medicine, including Pain Management, since 2001, taking care of patients with chronic pain. Patients seeking treatment at our clinic can be assured of receiving the finest quality care. We have a genuine concern for your well-being and long-term health. Dr. Vodapally continues to utilize the latest, most cutting edge spinal interventions including percutaneous discectomy using latest Disk- Fx system, the Minimally Invasive Disc Decompression - mild® procedure – in patients diagnosed with moderate to severe lumbar spinal stenosis (LSS), Cooled - radio frequency neurolysis for the control of chronic spinal pain and arthritic pain of knee and hip joints, and spinal implantable devices – Spinal Cord Stimulators and Synchromed – the spinal Infusion pumps. While Dr. Vodapally’s education and certifications attest to his knowledge, it is his patients’ satisfaction that justify his recognition in this area. 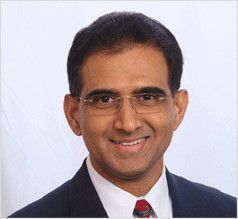 Dr. Vodapally prides himself on being a compassionate, caring physician with an excellent bedside manner. He is known for achieving dramatic improvement in pain without major surgery. Dr. Vodapally is a member of American Society of Interventional Pain Physicians(ASIPP) and North American Neuromodulation Society (NANS). Special Interests in Pain Management: Treatment of Complex Regional Pain Syndrome – CRPS – I and II (Reflex Sympathetic Dystrophy), compression fractures of vertebrae due to osteoporosis, Cooled - radio frequency neurolysis for the control of chronic spinal pain and arthritic pain of knee and hip joints, Disc-Fx procedure for the treatment of contained lumbar disc herniation with "sciatica" symptoms. Our Pain Management Center offers interventional techniques that can help many patients who had little success with other conservative treatments. We are looking forward to help you ! Board Certification Pain Management – American Board of Anesthesiology. Diplomat of American Board of Pain Medicine. Copyright © 2013 ctpainspecialists.com. All Right Reserved.